Avoid these top 3 grammatical mistakes if you want to present yourself as a skilled writer. Listen, it is wrong. The context is clear. The word should be Bats to make it a plural noun and not possessive. The book could have been called “The Bat’s Cave” (for one bat) or “The Bats’ Cave” (for many bats). Both would be correct, but the current title was wrong. I am a member of a LinkedIn group that is called Attorneys Seeking Expert Witness’. Is the apostrophe correctly placed? Does it belong at the end of Witness? The answer is “no” to both questions. The plural of witness is witnesses. There is no apostrophe if you are referring to plural. People who are uncertain about apostrophes either omit them or place them where they are not needed, and commit common grammatical mistakes. Many people confuse these two words. Suppose you are referring to what you and Mark did. Which is correct? Your ear may pick up the awkwardness of the second sentence. An easy way to know which is correct is to take away Mark and look at the sentence without him. “Me went over the report” is clearly wrong. In this case, the first sentence is incorrect. After taking away Mark, “The administrative assistant talked to I about the upcoming meeting” is also clearly wrong. Trust your ear on this error rather than get tangled up in prepositions and compound objects, which explain the grammatical basis for which is correct. The third of the grammatical errors really bugs me. Many readers will see nothing wrong with the first sentence, which seems simpler, but is incorrect. “They” is plural and “a person” is singular. Only use “they” if you are referring to more than one person. “If people have concerns about a product, they should seek answers” is correct. You may revise this sentence to make it even more streamlined, and write, “A person who has a concern about a product should seek answers.” That way you eliminate the use of “he or she” and avoid this common grammatical mistake. Pat Iyer MSN RN LNCC is the author or editor of more than 800 books, chapters, online courses, articles or case studies. Grab our free editing checklist on patiyer.com. 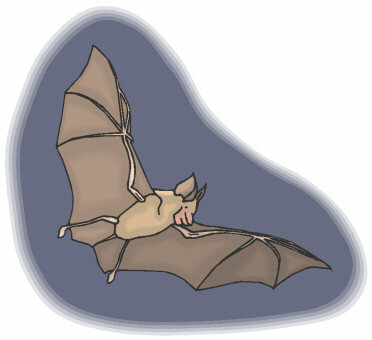 Pat proofreads everything she sees and avoids bats’ caves, although she did inadvertently visit one in Grand Cayman Island. It smelled bad and she saw bats hanging from the roof of the cave. Nasty.